From Barcelona to Melbourne. The National Gallery of Victoria (NGV) design store in Melbourne, in collaboration with Hannah Gallery by Klimt02 is proud to present a much-anticipated collection of contemporary jewellery from Spain and Catalonia. The selection of 24 works by 10 artists has been curated by and Hannah Gallery Barcelona and Simone LeAmon, Curator of Contemporary Design and Architecture at NGV. A curatorial work based on a selection of representative recent works by established artists and young talents. Minimalism, design, geometry, abstraction, narrative and conceptualism shaped by silver, gemstone, plastic, wood, paint and porcelain. 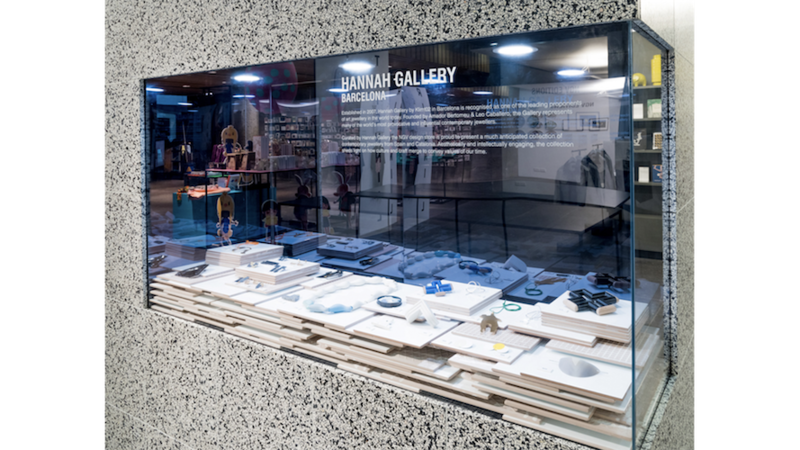 Curated by Hannah Gallery the NGV design store is proud to present a much anticipated collection of contemporary jewellery from Spain and Catalonia. Aesthetically and intellectually engaging the collection sheds light on how culture and craft merge to convey values of our time.